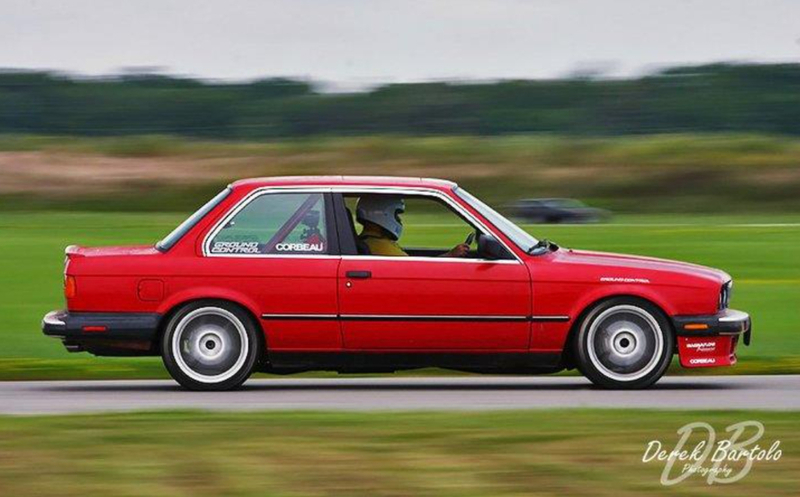 Come for a ride with me as I document my journey installing AEM’s Infinity 7 in my 900-whp E30 road racer. It’s been quite a trial but like all difficult tasks worth doing, the end result is always an immeasurable dose of personal satisfaction. But I hope I can help others like me have an easier time riding the learning curve. First let’s cover some basics of standalone engine management, then in the next part I’ll tell you about the specifics of the install. 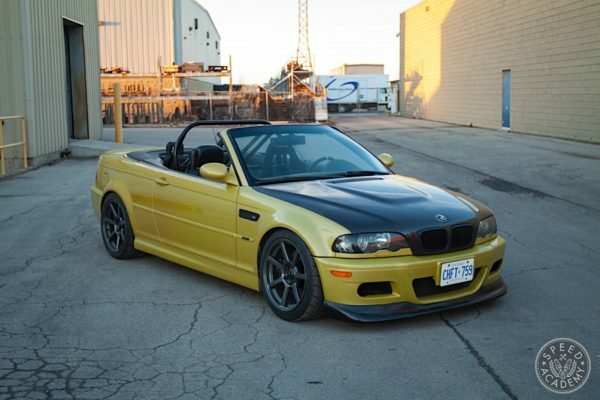 Finally, sometime early next spring, we’ll put it all together on the dyno and racetrack! 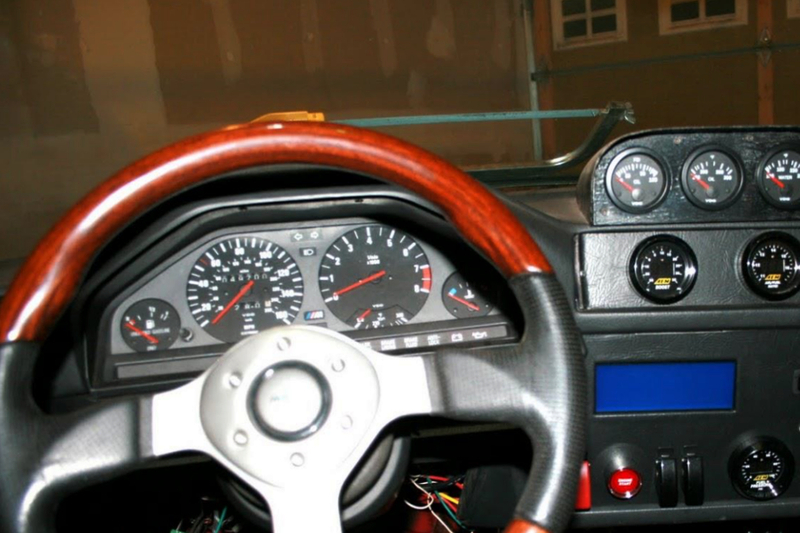 I started learning about engine management seven years ago when I converted the engine in my E30 to standalone using a VEMS ECU. It has served me well and I learned a ton with it but the more I learned, the clearer it was to me what I wanted and that I’d exhausted the capabilities of the VEMS. It was time to step up to a serious EMS and AEM has always been at the top of my list due to the features of the Infinity 708 as well as the additional hardware AEM offers — including a CD7 data logging digital dash, Vehicle Dynamics Module (VDM) and 8-channel EGT CAN module — that allow a comprehensive racecar electronics package to be built in a seamless and fully integrated way. Plus a full range of AEM sensors will also be in use to satisfy every need and desire I have for data, from basics like oil pressure to diff and trans temperature and crankshaft pressure. And thanks to the power of the Infinity, I can have proper safeties configured based on these sensors, but more on that in a minute. One of the most challenging steps in installing any standalone EMS is wiring it. 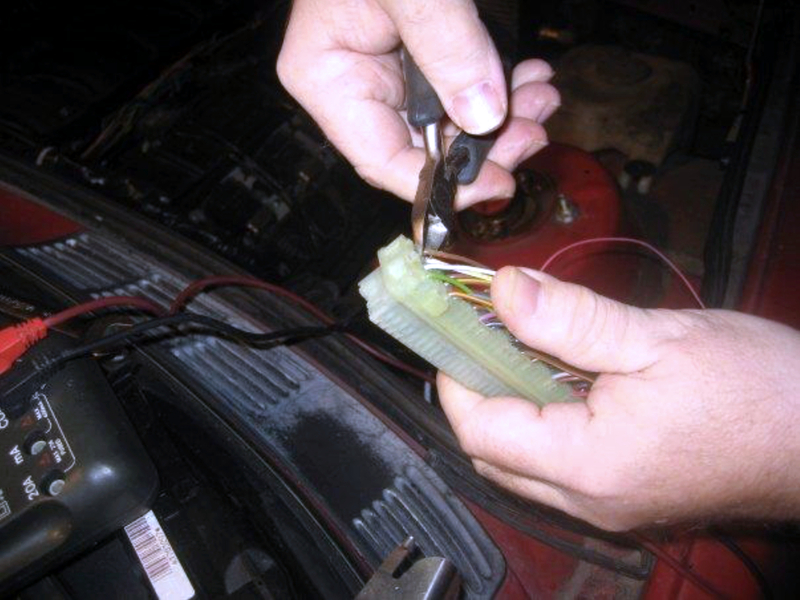 If you’re truly starting from scratch, this means building a wiring harness. But this isn’t necessary. Your engine came with a harness from the factory, who put in a lot of time, money and effort to make it durable, reliable and resistant to noise. You also know that it works, if all is well with your factory system before beginning the standalone conversion. 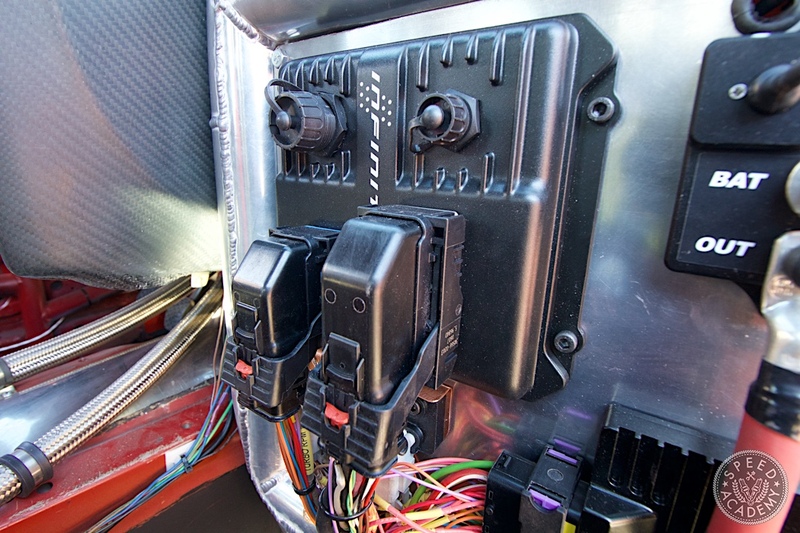 AEM does offer plug-and-play solutions where you use the factory wiring harness through an adapter to connect to their standalone ECU. 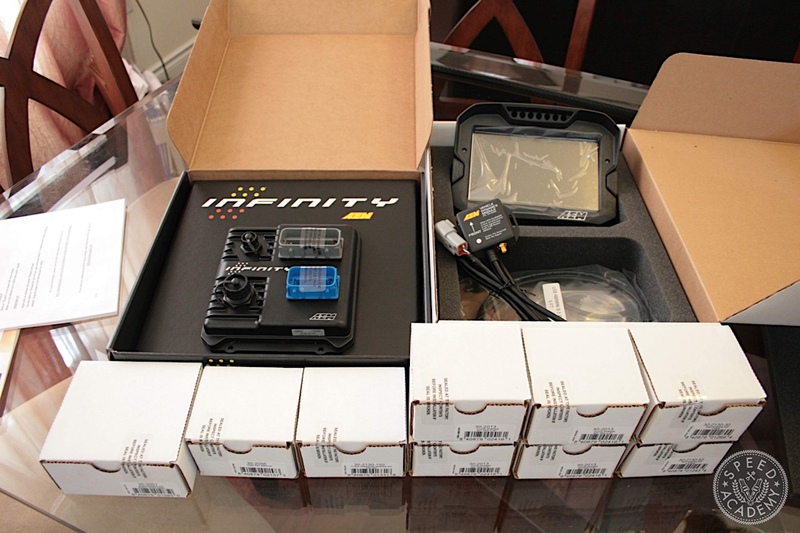 They also provide base configurations for many common applications for the Infinity, giving you a great advantage in not having to figure out the wiring or basic configuration to get up and running. With a plug-and-play ECU and this base config, you are very close to being able to head to the dyno for a custom calibration. These weren’t available when I went down the standalone road and at the time, I had no preferences as I was just learning. So what mattered most was that the guy who was holding my hand when I was learning used VEMS, so that’s what I went with. It did a great job for my basic needs and I will always have fond memories of it as my gateway drug into the fascinating world of engine management. It also introduced me to my calibrator, the only other person allowed in my driver’s seat, and generally one of the finest humans I know, Sascha Kuraschka, owner of Schnell Engineering. If you’re reading this, then you are probably just as worried about the wiring aspect of this as I was. It was quite overwhelming but when you need to get systematic, it’s time for a spreadsheet. 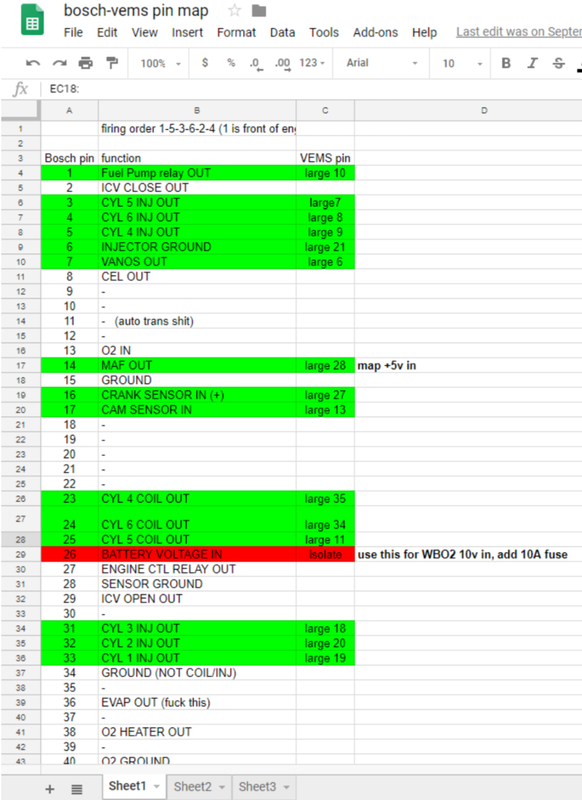 I mapped the OEM wire roles at the ECU to where they would go on the VEMS, any additional wiring I would need and it was time to start cutting. You can probably tell I was getting a little grumpy because so much of the OEM wiring is irrelevant to my interest, so it was annoying to spend a bunch of time figuring out what a wire does only to realize I don’t need it. I have a bad history getting overzealous with side cutters, so I recruited my father, who is a life long electronics nerd. I was extremely nervous for the first start because if it didn’t fire up, there are a scary number of possible screw-ups to check. But it started on the first try and I was off and running! After some tuning work and later with Sascha’s help, the car did great, both naturally aspirated and later turbocharged. But as my knowledge and car evolved, I began to outgrow my ECU. Initially, when my requirements from the ECU were to simply run the engine, VEMS was perfectly adequate. But the moment I started trying to do something out of the ordinary, I started running into limitations. For instance, I wanted a different cluster because I wanted more information than the stock one provided. I initially added a pile of gauges for various temperatures and pressures but I quickly saw that this would soon grow out of control. You can only pay attention to so many things at once on track and if I have a dozen separate gauges, I might as well have none at all. 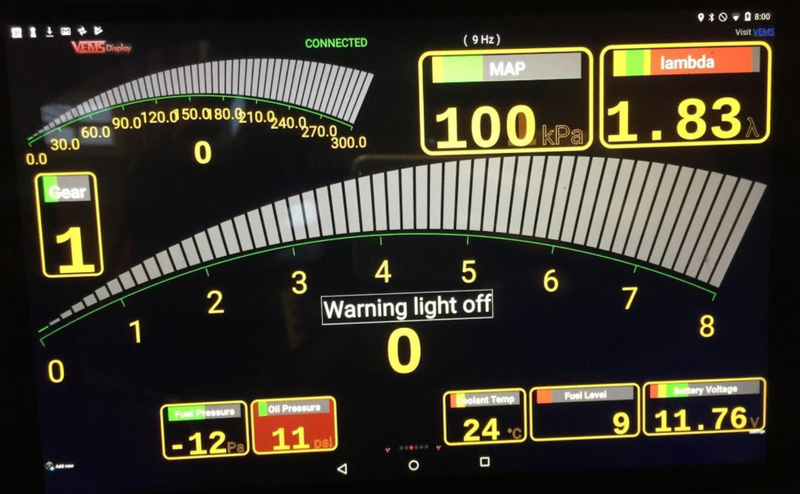 My initial attempt to solve this gauge extravaganza was to use an Android app on a tablet which could receive the serial signal from the ECU using an add-on Bluetooth module. While limited, I could get all of the values displayed on screen. For anything that’s not the usual RPM and speed signals, I was pretty much limited to a scaled voltage value from an analog input. When I could no longer use a VR signal from the diff because I changed to a big case diff without a speed sensor, I got a module to convert a rear wheel ABS Hall signal into a VR. They’re basically different designs of pulse generators that add up to the same idea – a toothed wheel rotates past it and as a tooth passes by, it makes the sensor generate a pulse of voltage, but the two types are not compatible with each other. This is a pretty cool discussion but the point here is that the conversion meant more boxes and more wires. 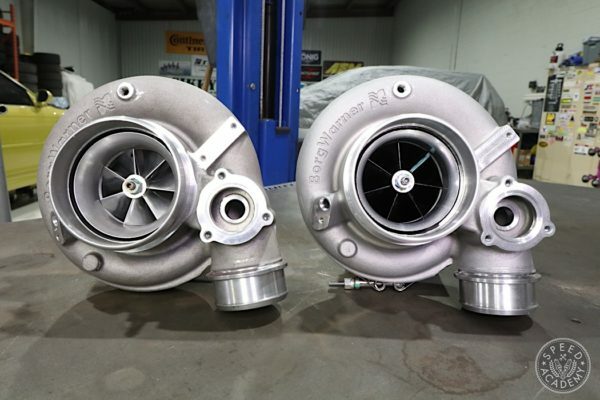 I wanted to monitor the turbo RPM because I was pushing my 9180EFR turbo to the limit of its rated power and at this limit, it can spin up to an RPM where it can fail. But the signal is a digital frequency and VEMS doesn’t have digital inputs. So my dad built me a converter box to convert the frequency to a 0-5v analog signal. Yup, more wires. But for fuel pressure, it’s a more complicated situation since the effective fuel pressure depends on the manifold pressure. What really matters is the NET pressure the injector sees. 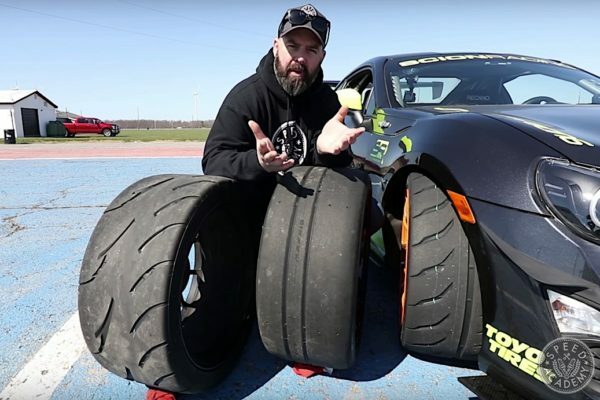 Imagine trying to inflate a 10psi tire with 10psi of air – nothing’s going in! Say you want 60psi of fuel pressure. 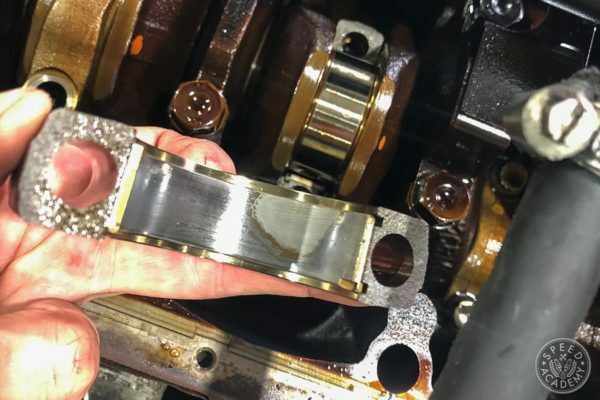 The actual pressure behind the injector doesn’t matter, what matters is that the pressure behind the injector is 60psi more than the pressure in the manifold. So with the engine off, you need 60, with 10psi vacuum, you need 50, with 10psi boost, 70. But then how do you set a fuel pressure safety when you don’t actually know if the pressure is low or not? So my dad built me a box which generated a signal based on fuel and manifold pressure signals, subtracting the two – more wires! It sort-of worked but barely enough to get the job done. 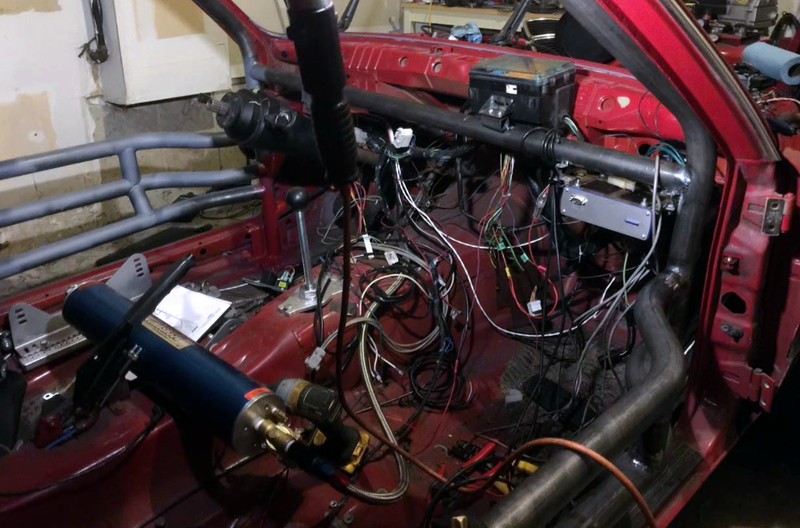 Much like trying to get an OEM ECU to do what you want for your project car, once your needs start exceeding the intent of the hardware and software, you’re bound to have to accept compromises or outright limitations. 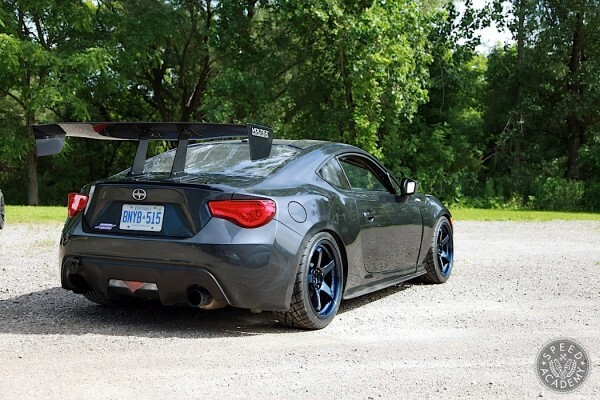 Last year’s FR-S build was a ton of fun and a ton of work, since we started with an adopted Tuner Challenge car that we more or less unbuilt before rebuilding….